Scouring calves usually result in a calf becoming severely dehydrated, so an effective and easy to use oral rehydration product is a must on all farms. 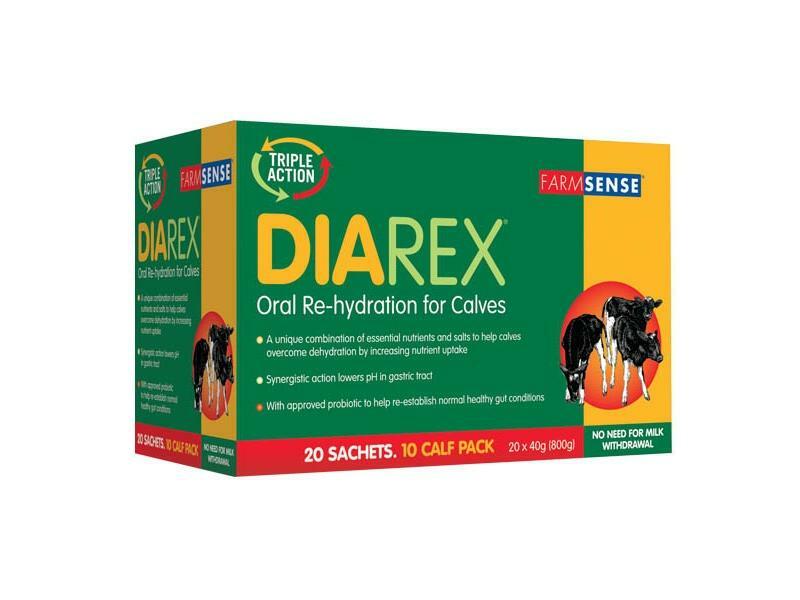 Diarex is a proven combination of essential salts and nutrients to get the calf rehydrated as quickly as possible. Diarex also contains a proven probiotic, Enterococcus Faecium M74 that helps re-populate the gut with beneficial bacteria. This unique combination means there is, no need for milk to be withheld. Scouring calves should be given Diarex as soon as possible to minimise dehydration and minimise the financial damage scours can cause. One sachet per calf as soon as the disorder is detected. Dissolve contents of the sachet in 1 litre (2 pints) of warm (not hot) water and feed to the calf one hour before normal feeding time, preferably by teated bottle. Packaging 40g sachets, 20 sachets in a cardboard carton. Precautions Store in a dry place between 15-20ºC. Presentation A creamy coloured powder. A unique combination of essential nutrients and salts with an EU approved probiotic to help overcome the dehydration in calves caused by diarrhoea. Warnings Only for feeding to calves. Not for human consumption. 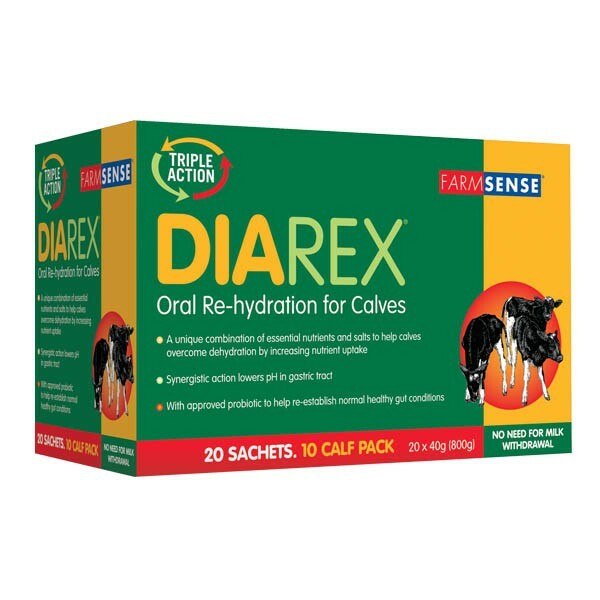 There are currently no questions for FarmSense Diarex Oral Calf Rehydration - be the first to ask one!